A personalised cheeseboard is an excellent gift option for any cheese lover on their birthday. This classy and tastefully designed wooden cheeseboard comes engraved with the recipient's first name and year of birth. It features a brand-like design on the bottom right side of the oval – making sure that everyone knows whose cheese it is! 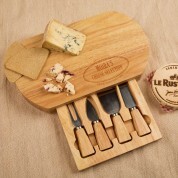 It also includes a built in drawer, which holds four cheese tools – a Stilton knife, parmesan knife, cheddar knife, and cheese fork. 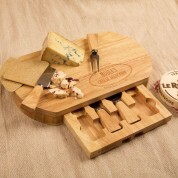 They complete the cheeseboard, and add an extra speical touch when it's in use. 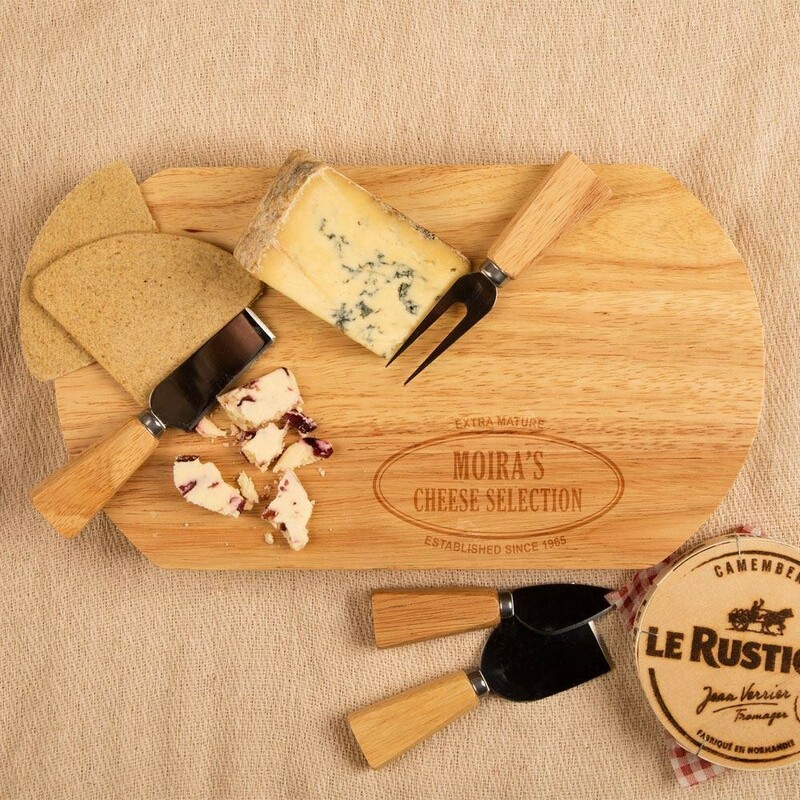 Our cheeseboards are made from natural hevea wood, and the grain may vary from the photos above. Cheese knives measure 12cm long x 3cm wide (at handle).